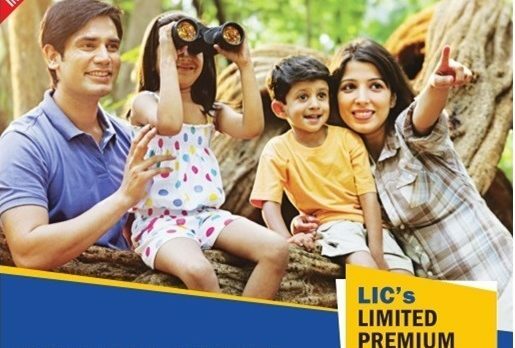 LIC’s Limited Premium Endowment Plan is a participating non-linked plan which offers a combination of protection and savings. This plan provides financial support for the family in case of unfortunate death of the policyholder any time before maturity and a lump sum amount at the time of maturity for the surviving policyholder. This plan also takes care of liquidity needs through its loan facility. Death benefit: In case of death during the policy term, provided all due premiums have been paid, Death benefit, defined as sum of “Sum Assured on Death”, vested Simple Reversionary Bonuses and Final Additional bonus, if any, shall be payable. 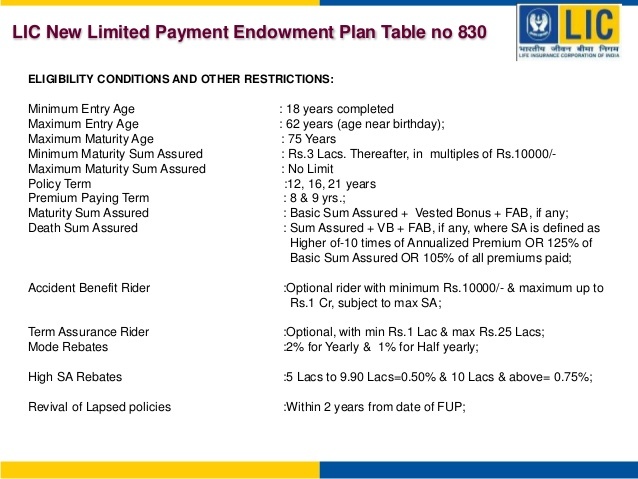 Where, “Sum Assured on Death” is defined as the highest of 10 times of annualised premium or Guaranteed Sum Assured on Maturity i.e. Basic Sum Assured or Absolute amount assured to be paid on death i.e. 125% of Basic Sum Assured . This death benefit shall not be less than 105% of all the premiums paid as on date of death.